Avoid the man who bears the same name as your own. Offend your best benefactor, if that benefactor’s influence has connected you one with the other. Desert the woman who loves you, if that woman is a link between you and him. Hide yourself from him under an assumed name. Put the mountains and the seas between you; be ungrateful, be unforgiving; be all that is most repellant to your own gentler nature, rather than live under the same roof, and breathe air with that same man. Never let the two Allan Armadales meet in this world: never, never, never! Of course, the two young men do meet. One of the men, the poorer one and the recipient of the letter quoted above, is going by the assumed name of Ozias Midwinter, and he quickly discovers that it’s difficult to disentangle himself from the amiable Allan Armadale who, unaware of their connection, has decided that he and Ozias are meant to be great friends. Ozias, however, sees doom around every corner—both because of his father’s deathbed plea and because of a possibly prophetic dream that Allan has when the two are left overnight on a wrecked ship. Doom eventually comes in the form of Lydia Gwilt, one of the most villainous villainesses in literature. Her malicious plots, revealed in letters and diary entries, center on acquiring the Armadale fortune for herself. 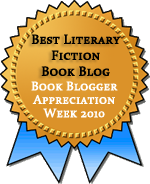 Teresa: I read The Moonstone and The Woman in White well over 10 years ago, and I enjoyed them (particularly The Woman in White), but it didn’t occur to me to read more Collins until I started to see other bloggers mention his less well-known works. Once I was just a few pages into Armadale, I was kicking myself for letting Collins slip my attention for so long. I was immediately drawn into the story. I knew the two Allans had to meet, but I was on tenterhooks regarding how they would meet and what would happen when they did. Collins knows how to build suspense. Jenny: The book is crammed with suspense, and with incredibly dramatic events! It’s the way the characters interact with each other that gave me the most pleasure, though. The two Allan Armadales — or, as we should call them, Armadale and Midwinter — are really two sides of the same person. One is open as the day, while the other is closed and suspicious. One is blunt and rather thick-headed, while the other is so sensitive that he is unstrung by tiny incidents. One is careless of all social niceties, while the other is watchful of every detail of them. Their parents may never have wanted them to meet, but it’s clear that they complete each other. Teresa: Yes, together the two Armadales make a more complete person (and it will probably be no surprise to you that I liked Ozias best). But of course, the character who steals the show is Miss Gwilt. Collins is well-known for writing great villains and great women, and here we have both in a single person. I can’t recall a literary villain I loved reading about so much. Once she’s on the scene, the book is hers. Jenny: Yes, almost literally. I was surprised at how much of the book was written in Miss Gwilt’s own voice, via her diary. No one else gets that privilege, which made me wonder who we’re really supposed to sympathize with. To be honest, I found both Armadales almost equally irritating at times, the one for his blundering carelessness and the other for his morbid sensitivity and superstition, and I wasn’t enraptured with the young and foolish heroine, Neelie, either. Miss Gwilt, however, has a dark and complex background, mixed motives, and a tiny remnant of real love in her heart despite her determination to win every game she plays. I never really knew whether to root her on or be appalled. Now that’s a character! Teresa: I have a sneaking suspicion that once Collins started writing Miss Gwilt, he realized she was the most interesting character of all. Look at how she gradually takes over the story. Collins starts out just with her letters, and just a few of them. But then there are more letters. Soon, the letters aren’t enough. She wouldn’t reveal enough of herself, even to a fellow conspirator, so Collins moves on to journal entries. Eventually, most of the book comes from Miss Gwilt’s pen! I was a bit worried that when we started learning some of her back story, Collins was looking to redeem her or justify her actions, but he doesn’t. He helps us understand her, but she’s never anything other than a villain. Personally, I never felt inclined to root for her, but I wanted more of her. I laughed out loud at some of her more outrageous statements: “I am in one of my tempers to-night. I want a husband to vex, or a child to beat, or something of that sort.” It’s so over the top, but I love that she just is who she is, without apology. Jenny: Over the top is right. She’s by far the most engaging character (though I loved both the lawyers, Pedgift senior and junior) and I had some sneaking sympathy for her, myself! What did you think of the supernatural element Collins introduced with the prophetic dream Allan Armadale narrates to his friend? Collins goes out of his way to provide three complete explanations for the dream: one scientific, one supernatural, and one religious (that is to say, even if the dream is prophetic, it doesn’t matter because God will provide.) The dream not only crops up several times in the novel, but influences events. What are we supposed to think, as readers? Teresa: I’m not sure what to make of the supernatural element. To be truthful, it felt sort of out of place to me. The book is so much about how people respond to one another and to their circumstances, and the prophesy felt thrown in. I suppose that he could by trying to get at something about how different people respond to the idea of the supernatural. Ozias takes it very seriously, and Allan laughs it off. But the way they respond does influence what happens. That whole thread didn’t quite gel for me. I am glad, though, that Collins left the “solution” ambiguous. Jenny: I agree. For me, ambiguity in its most literal sense — doubleness — was what the book was essentially all about. The two Allan Armadales. The two shipwrecks. The double nature of women: one a flighty, inexperienced, tender-hearted virgin; the other a wicked, twice-married, sensual villainess. In the end, it seems to come down to choices between those doubles. Wilkie Collins clearly believes in free will and in some kind of Providence, both of which are stronger than superstition and evil. It made for a really interesting book, and what’s more, a completely rip-snorting story! I do love your book conversations, they are so cool! I’m delighted to know you enjoyed this – I’ve had it strongly recommended to me, and been equally strongly warned against it. This is one more tick in the positive column! I don’t think I have ever had such a visceral reaction to a book villain as I did with Lydia Gwilt. She infuriated me! I was so angry and frustrated every time she got away with something! And I loved every minute of it. I’m so glad you enjoyed this too. I was totally carried away by it too, and secretly wanted to be Lydia Gwilt. I am going to HAVE to read this. I am on a sensation fiction roll right now and am currently reading Wilkie Collins’ wonderful No Name. I wish more people read outside of his two famous novels – there are so many gems of his to discover! The recent resurgence of Wilkie Collins has convinced me that I do need to read more of his work than just The Moonstone and The Woman in White; Armadale will definitely be going to the top of the list. I think that the duality of the post worked well describing the two/two sides of one Allan Armadale! Well done. Oh I am SO EXCITED to read this! The biography of Collins I’m reading has an extended section on Armadale and the criticism — apparently, while the public initial rushed to get it, but the critics said it was far too immoral, and then the public stopped buying it to readily. Same with No Name. Critics did NOT like it. But it sounds so very different from Woman in White and Moonstone and I’m just fascinated by this review of yours! But I digress. Collins wasn’t Dickens, but many people believe The Woman in White was the best-selling novel of the 19th century, and Dickens was nervous enough about his younger rival that he tried to outdo him in Edwin Drood, and died during the attempt. Armadale is one of the biggies for Collins, and fans shouldn’t miss it. The lesser novels start to get really, really strange. Then, on to No Name next…. litlove: If you like sensation fiction at all, this one is worth it. Perhaps since both Jenny and I recommend it, you could count it as two ticks for reading it? Kristen: Visceral is quite right! She’s the absolute epitome of the villian you love to hate. novelinsights: Oh I could never be Miss Gwilt, but I can see the appeal of just throwing principles out the window and by God getting the thing you want. Rebecca: I did read somewhere that the character of Miss Gwilt was considered too outrageous, and I can see why. I don’t think Count Fosco has anything on her. Stefanie: It is great fun–to read and to review in dialogue! Christopher: Oh, I’d much rather read Collins than Rand. (I’ve happily avoided Rand my whole life). I’m curious as to which of Collins’s novels you found strange. How interesting to describe the two Armadales as completing each other. And Miss Gwilt taking over the story….maybe it represents her attempts at taking over their lives? I thought I was going to read “the Moonstone” next time I want to read Collins, but now I wonder if it should be this one. I might just have to end up drawing a title out of a hat! I was so excited when I saw y’all on the schedule, since I haven’t read Armadale yet-you’ve totally convinced me to get it from library asap! Glad that you have enjoyed this so much its one of my Collins favourites and has been one of the many gems in my Sensation Season this autumn/winter. This was a fun review to read! I’m still getting my daily e-mails for The Woman in White, but once I’m done with that I’m excited to try some more Collins. Valerie: It’s been years since I read the Moonstone, and I liked it well enough, but this made a much stronger impression. Eva: I think you’ll like this one! savidgereads: Your review of Armadale got me very excited about this one. I’m glad that I read it! Kim: Thanks! I’m definitely planning to read more Collins, too. I have this on my shelves, and I’m so looking forward to it! I’m glad you both liked it. Dorothy: I hope you enjoy it as much as we did! I read my first Collins (The Woman in White) for the tour, and I was floored by how readable he was. I just don’t expect “classics” to be so entertaining…too many bad experiences, I guess. But I love his characters, especially his women characters who turn out to be not so passive. What a fantastic review–I love your discussion format, and the idea about the two Allans making up one complete person is pretty interesting (made me wonder when this was published in relation to Stevenson’s Dr. Jekyll and Mr. Hyde). >ambiguity in its most literal sense — doubleness – was what the book was essentially all about. That’s interesting in that many of the comments about other Collins’s books have to do with how plot driven they are, whereas this suggests that he is writing to a theme. softdrink: I’ve found many classics to be wildly entertaining, and Collins is at the top of the list for that. I’m so glad you enjoyed your first experience w/ him! JaneGS: Thanks! We’ll probably do most of the Classics Circuit posts this way because, so far, they’ve all featured authors we both want to read.